Let’s begin with a little history because Gaming Club was the very first online casino to have hit the internet way back in 1994 before mobile gaming even existed. At the time, broadband was just about coming into action, but mostly Gaming Club was a downloadable app with customers connecting via dial-up modems. Of course, the brainchild of the casino was Microgaming and so this is where the company’s journey into greatness within the field off online gambling all started. Over the years Gaming Club has always changed to keep up with the times making sure that year-by-year it kept the most up-to-date look. Now it is a modern online casino with flash instant play access via browser, and it has kept its downloadable app, which has only gotten better adapting to new technology and user demands. Android, iOS, Windows Desktop and Mobile, Mac as well as Blackberry players can all get a taste of the action via PCs, laptops, touchpads, smart phones, and iPods. Once you have signed up either via the web or the downloadable app, there is a free £350 up for grabs in a 2-part Welcome Bonus giving you 100% and then 150% deposit matches. Roulette, Slots, Blackjack, Baccarat, Video Poker, Three Card Poker, Texas Hold’em, Craps, Keno, and many other popular casino games come in different variants available on desktop and mobile play both for real money or free play. Modern Random Number generators mimic the probability and variations of the real thing, and if you do want a taste of the ‘the real thing’, then Evolution Gaming steps in to zoom Gaming Club members into a LIVE Dealer Suite that has live games from Blackjack, Roulette, and Baccarat to Caribbean Stud Poker, Three Card Poker, and Texas Hold’em. 128-bit SSL Encryption, safe banking, eCOGRA approved gaming randomness reports as well as RNG checks, licences from both the Kahnawake Gaming Commission and Malta Gaming Authority, altogether bring trustworthiness and a safe gaming environment to those that are looking for a high-quality casino that plays by the book. For those of you that like what you have already read and are interested in the what Gaming Club has to offer, keep on reading because this one casino you will love! Due to the exclusivity of this online casino, they don’t need to brandish all the games and bonuses all over their home page, so it can be difficult to get an inside look. Here we bring you a full review of Gaming Club straight from our member account. Games are available via both flash browser and app download which both give players access to an exceptional variety of online games – over 500 to be precise, and still counting as new games are added monthly. Neatly divided into easily manageable sections, Gaming Club offers ‘Online Slots’, ‘Online Roulette’, ‘Online Blackjack’, ‘Online Video Poker’, ‘Online Slots Tournaments’ and ‘Online Blackjack Tournaments. As visiting the homepage at Gaming Club does not give you much of an idea of the actual Microgaming Games available, we use our members account to delve into every section of the casino to provide you a list of the very best real money online games the casino has to offer. This is just the given average for each casino. From here onward we will look deeper into each gaming section, so you know exactly which games to expect. If you go to the website, you may have already noticed they do not list the games they have – so here it is straight from our Gaming Club Casino account. When you look at the games available for mobile from your desktop, it is easy to spot which ones can be played on mobile, and how to add the games as one of your favourites. In the top right-hand side of each game you can see the ‘Star’ to add as a favourite and to the left of that is the mobile symbol indicating the game is available on mobile. Here you will find mainly slots because they are the most played games on Gaming Club. At the time we wrote this here are the top 10 games listed. This section will list the games that you last played. Pretty simple really, and it makes it easy to find games you did not save to tour favourites. This section just adds a nice touch to the casino for player organisation. As this is a Microgaming casino, it will come as no surprise to you when you see titles such as Major Millions and Mega Moolah. But, there are also some other non-slot jackpot games here too. All the progressive jackpot games are connected to over 150 other Microgaming casinos via the Microgaming Jackpot Network, so the jackpots get pretty high fairly quickly as you will be playing the same slot as other members from Gaming Club’s competition. The number of slots on Gaming Club outweighs the number of every other game combined on the casino. There is no arguments – slots are the king of the casino world, and they just keep on coming. Here are a few of the best we picked out available on both desktop and mobile play. Video poker comes with some of the best RTP (theoretical Return to Player) percentages in the casino. You have over 20 versions to play with 6 available for mobile play. Here are the top 6 we picked out available on both desktop and mobile play. If you enjoy a dabble on the Roulette, why not try some of the well-known strategies to get you started – Martingale, Labouchère, The Fibonacci, Paroli, Hollandish, D’Alembert, or the James Bond strategy all placed on the outside betting areas. You can practise to your hearts content on anyone of the 9 Roulette tables available. Only the first 2 mentioned are available for mobile play. Now if you are an avid Blackjack player, and you are down with your optimal strategy, then your mind will be blown away with over 30 variations of Blackjack to be player. We can’t list them all, but here is an idea of just what you will get. The first 5 we mention are available on both mobile and alos have single as well as multi-hand versions. Here you will quite obviously find all the games that are available. You can scroll down and see which games interest you and add them to your favourites. On the left-hand side of the games menu listed in section 1 to 8 above, there is a search section you can use to find other games not so easily spotted. We used this because there is no section for Scratch Cards, Baccarat, Keno and other games casino player love to play, so we sifted through the list to find the odd games out. None are available on mobile, but we still think they were a great find! Surprisingly, this seems like quite a long list of games to miss out. It would have been nice to add another section aptly names ‘Other’. This is one of the first and only flaws we have found on the organisation side of the casino’s gaming layout. Another nice touch would be the ability to sort the slots section into pay-lines such as 15-paylines, 20-paylines, 243 Ways to Win, Bonus Rounds, free spins and so on, but only a few casinos really do this anyway. Gaming club has over 160 mobile games to play. Many of them we have listed in the above sections, taken from the desktop version of the site. The great news is that all 160 of these games can be played on your mobile via the downloadable app or you can opt to use your mobile’s web browser. If you connect to the browser version of the website for instant play from your mobile, you can add this as a shortcut to your device for easy access. Then, when you enter the casino on the browser, the web coded version will be streamed to your phone rather than the desktop – pretty neat that they designed 2 versions of the site. All the sections on both the app and browser are the same as you will find on the desktop as well functionalities such as cashier, calendar for bonuses, and more. On the other hand, Android, Windows Mobile, and iOS players will be able to use browser or application functionalities to play a host of online games via their mobile. Blackberry players will admittedly have a slightly tougher time of it because even on the browser some of these games will not function so well – but there are a few that do! Even in the LIVE casino which will we will cover in the next section, all 8 LIVE dealer games you will be able to play via your mobile. Lately even Microgaming casinos seem to be ditching the LIVE dealer suits of their main casino platform provider in favour of Evolution Gaming. It must be said, Evolution Gaming set out to be the number 1 provider of online LIVE Dealer suites, and they have done just that. With virtual chips and betting areas made available, you can place bets with ease. Results are also easily tracked with state-of-the-art facial recognition software that is also trained to recognise the results on the Roulette Wheel or Card Games. Therefore, once the deal or coup is over the pay-outs are given out so quickly – amazing technology. The software platform is nice on both the web interface and from the app. You have a messages area where you can keep up with the latest bonus and news, as well as replies from support. A calendar that will give you all the bonuses that are available over the month (v.helpful). You will also find the deposit, and LIVE shat sections here. If you are logging on via the web app, there is handy option to ‘Add to Desktop’, so you have a short cut straight to the casino. Moreover, you have the handy option to add games to a favourites section, and if you forgot to add a game you liked, then you can back track to the ‘Last Played’ section! A drop-down menu is also available with ‘My Account’ section so you can manage your profile, update details as well as change your password. Then you will also find the ‘Help’ section for telephone and email support, plus, the ‘Loyalty’ section is found here to keep track of your loyalty points and level. Your balance is always easily visible split into three sections; Cash Balance, Bonus Balance, and Total Credits. Moving onto the gaming area and the software is as you would expect from Microgaming – simply amazing. As the casino’s games work across multiple platforms, Microgaming’s subsidiary, Quickfire uses its delivery system to ensure the correct code is delivered according your device’s spec. Screen size, hardware, device brand, and bandwidth are all calculated by Quickfire’s intelligent delivery system to ensure the most optimised versions of each game are streamed to your screens. The same applies to whether you are connecting via the ‘flash instant play’ version of the casino or via the app using your mobile or desktop. With this type of technology in place, you can guarantee the very best 3D graphics, animations, and gaming speed no matter the device you are using. What is also extremely impressive, which this counts for many Microgaming casinos, is the software that tracks all players action. Calculating chips/cash on and off the tables, bonus cash, banking deposits and withdrawals, bonus money and credits, gaming history, and most importantly keeping track of loyalty points all in real time! You will also be impressed with the technology used by the LIVE Dealer suite thanks to Evolution Gaming. Finally, virtual casino games have their own betting interfaces that are easy to use. The virtual gaming software tracks chip denominations, bets, and pay-outs; while, intelligent Random Number Generators (RNGs) ensure results are fair and random. Gaming Club has licences with both the Kahnawake Gaming Commission and Malta Gaming Authority meaning that they comply with strict rules in Canada and the EU. There should also be a UK Gambling Commission Licence in the pipeline should Gaming Club need to obtain the licence for continued availability in the UK. The entire casino is also endorsed by eCOGRA. This means that Gaming Club adheres to fair gaming, making their pay-out percentages public and open for scrutiny. For Gaming Club to keep its status with eCOGRA and both its licensing bodies the casino follows a set of important policies and rules. The RNGs are supplied and regularly tested by third party operators, and these tests are performed at random. Furthermore, player money is not counted as a casino asset, and stored in separate bank accounts, and allow for prompt pay-outs. When you connect to Gaming Club, this is always done via Enterprise quality and financial grade 128-bit SSL encryption. These codes are unbreakable, and certificated swapped out daily. This guarantees safe and private passage to and from the casino through the internet. It also ensures that all financial details with the casino are very kept safe. All staff that work at the casino must undergo strict interview procedures, security training, as well as extensive back ground checks. Plus, within the casino’s system, anyone logging onto the system has secure access tokens that track that individual’s system interaction. On top of this, everyone is under CCTV surveillance, so the inner workings of the casino are 100% secured. Lastly, but also very importantly, player privacy policies ensure that all player information is kept private and confidential. Even the Gaming Club Casino staff cannot access player details without the member calling support and providing security checked Q&A sessions, so the employees can access account information if you need support. There are 2 parts to the Gaming Club Welcome Bonus code. 1st Deposit: Up to £200 free using the 100% deposit bonus match giving you a £400 head start if you deposit £200. If you deposit £50, then you will start with £100, and so on. 2nd Deposit: Up to £150 free using the 150% deposit bonus match giving you a £250 if you deposit £100. If you deposit £50, then you will start with £125. On your software interface all you need to do to find which promotions are on for the month is click on the ‘Calendar’. This is a brilliant way to keep members up to date on promotions, plus more will be added to the ‘Calendar’ throughout the month. 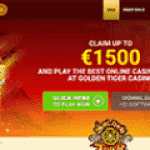 Deposit match promotions, instant deposit bonuses awarded as you play selected games, double or triple loyalty points, and loads more offers are always being added. Just make sure you get the right offer for you in time because the promos expire. However, not a problem – because new ones are always put up. Loyalty points are awarded every time your total amount of wagers adds up to a certain amount. Depending on the game you play, you will need to wager £3.30 to £33.00 to redeem 1 loyalty point. Reel Slots and Fruit Slots will gain you the most points; while, games such as multi-hand Blackjack, you will need to wager more per loyalty point. You can then use the Loyalty Points to redeem cash credits. Blue, Bronze, Silver, Gold, Platinum, and Diamond make up for the 6 levels Gaming Club has available. You can check out your loyalty status on your app or web browser menu. You can also what specials are available to each loyalty level throughout the week. For example, at all levels from Blue to Diamond, if you play a selected game, you can get double loyalty points. There are also percentage add-ons to your loyalty points on certain days of the week. The higher your loyalty tier level, the better the percentage thus the quicker you can earn more points to raise your tier level as well as claim more bonus cash credits. Since 1994 Gaming Club has been serving online real money gamers. The casino has had a lot of time to perfect the way they support their clientele, and many other online casino use Gaming club as their template to customer services success. All employees are trained to know every knot and cranny of the casino’s offering, meaning that you will not be kept on hold for hours or told you will be called back because the team here knows its business well. Multiple telephone numbers for multiple countries available in the help section. Canada, UK (for all countries), New Zealand, Germany, Austria, Switzerland, Netherlands, Argentina, Chile, Mexico, Portugal, Sweden, Finland, Japan, Russia, and French speaking regions. There is an extensive FAQ area which is mostly where you will find the answers to anything you need to know about the ins and outs of the casino, Responsible Gambling, Terms and Conditions and Withdrawal Rules sections. Furthermore, LIVE chat is available 24 hours a day and 365 days year, plus there is an email support form. Click on the deposit section of your app or web browser version of Gaming Club and you will be presented with ‘Deposit’ and ‘Withdrawal’ areas. In addition to this, you can click on your ‘Statements’, so every transaction in or out of your casino account is trackable. Why Play at Gaming Club Casino? The prize for the two top reasons to play at Gaming Club would have to go to Slots and Blackjack players. there are just so many to choose from with 30 variations of Blackjack and over 160 mobile games to be played. Roulette is also a big hit, plus if you are looking for several variations to play – one of our favourites being the option to play the ‘Multi-Wheel version. Plus, for high RTP games, you cannot go wrong with the huge collection of Video Poker games the casino has to offer up. For those looking for something slightly different from the norm, such as Baccarat, Craps, Red Dog, Sic Bo, 3-Card Poker, and Scratch card players, well there is also something for you too. You just need to use the search function on the app or web browser version to get to them, then add them to your favourites. Another great reason to play at Gaming Club is that is suits those that like everything to be well laid out and organised. The simple fact is that this is a modern site, and with all the functionalities you need to organise the games you want to play, find hot games, keep a check on your bonus points and loyalty level, and the baking facility provides you with transaction history, so you are never lost, and have the chance to double check. Also, the way the bonuses are laid out month-by-month on a calendar is an excellent and fresh idea we have not seen on many other casinos – a great concept. Last but not least, who could turn down the chance to play at the most mature online casino around that has been through every change in technology. There is no casino website out there that can beat the experience the Gaming Club Casino team has when it comes to real money online gaming. Take a quick peak at our list of pros and cons. In all honesty, the cons are just us being oicky because we could not find any serious flaws with Gaming Club’s Casino offering.